About the healing properties of pomegranate juice has long been known. In addition to its beneficial qualities, it still has a pleasant specific taste and smell. When buying juice, you should consider several important points, otherwise there is a risk to purchase a fake. Pomegranate juice is made from the subtropical fruit of the pomegranate tree. Its fruits contain grains, which are enclosed in a thick peel. On the territory of the Russian Federation the pomegranate tree can be found in the subtropical zone of the black sea coast, Crimea, and Transcaucasia. Due to high demand and the high cost of pomegranate juice is often adulterated, so when buying it you need to pay attention to some details. Do not buy a product if the label is not specified by the manufacturer. 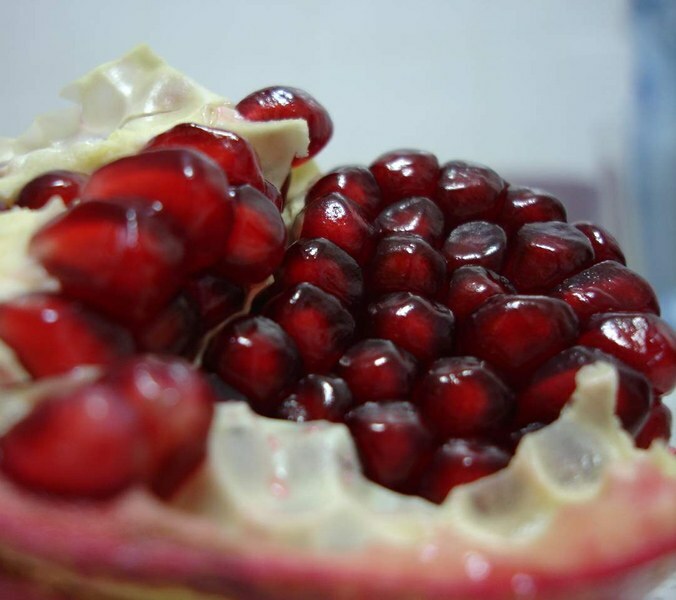 One of the best producers of pomegranate juice on the Russian market is considered to be Azerbaijan. Remember that pomegranate juice is expensive stuff, and cheap options are usually hiding fake. If the label says "nectar" is a surrogate. Take the product in a glass bottle, so at least you will see the color and consistency of the drink. The bottle and cap must be protected is tightly sealed adjacent the thermoplastic. The cap on the bottle should be strongly twisted. Carefully inspect the label, it must be clearly printed and contain the following information: the name of the product, table of nutrients and vitamins, the name and address of the manufacturer, date of manufacture. Study the composition of the juice, it should not be sugar (sweeteners) and colors. Natural pomegranate juice, red-wine, to the light it looks translucent, it is allowed the presence of small particles. Too light and the red color indicates that it is diluted with water, and too brown color of the drink may mean that the juice is made from crusts, or from the hips. Pomegranate ripening occurs from September to November, so buy the juice, released in the period from September to December. But in the spring and summer to make a drink can only rotten or immature fruit. Pomegranate juice is a great diuretic and cholagogue, it also has anti-inflammatory, analgesic and antiseptic properties. Drink stimulates the appetite, improves hemoglobin, helps reduce temperature. It is often recommended to take in the decreased performance, stress, exhaustion, hepatitis, indigestion. However, it is contraindicated for people with high acidity of gastric juice. Pomegranate juice has healing properties and helps in the treatment of many diseases. It is rich in phenolic compounds and biologically active substances that enhance the immune system, have antioxidant and anticancer actions. The composition of pomegranate juice, there are 15 amino acids, 6 of which are considered essential. In addition, it contains a complex of vitamins, organic acids (malic, citric, folic).